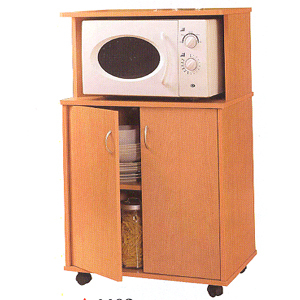 Light Cherry Finish Mobile Microwave. Strong Construction. Easy to assemble.